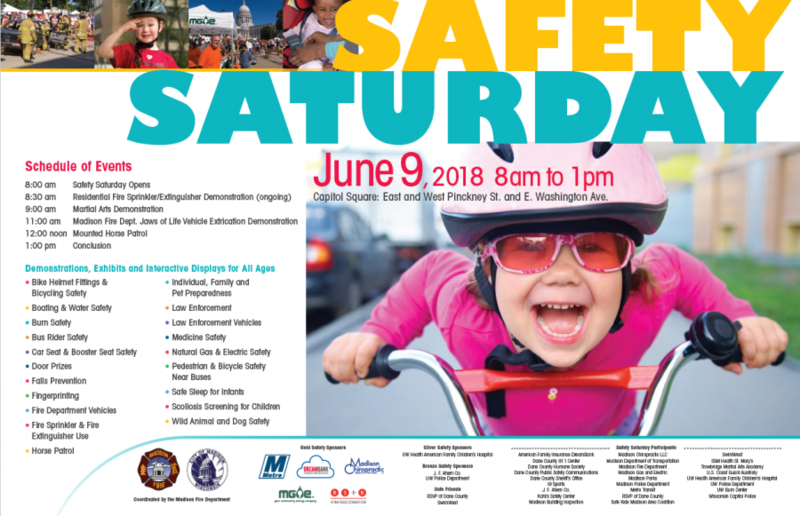 Safety Saturday is an event that educates parents, children, and the public on ways to make safe decisions, prevent injuries, and to encourage the use of safety devices such as seat belts, bike helmets, and smoke alarms through interactive activities. Stick around for a "jaws of life" extrication demo presented by the Madison Fire Department. This event is hosted by the City of Madison Fire Department in collaboration with over 25 public and private organizations throughout Dane County.